Lata Mangeshkar’s melodies have been a constant companion for over two decades for Srinivas Ganti who chronicles his delightful discovery of her music while drawing parallels with events in his life as a special on her on the eve of her birthday. It is hard to imagine a single day without listening to or humming or perhaps just reminiscing of a song by Lata Mangeshkar. The many moods and hues of her songs have been a constant companion for over two decades and here is an attempt at chronicling my discovery of her music while drawing parallels with events in my life. The opening bars of music that I first heard in the 80’s with the magical voice singing ‘Hawa mein udta jaaye’ still echo in my ears. 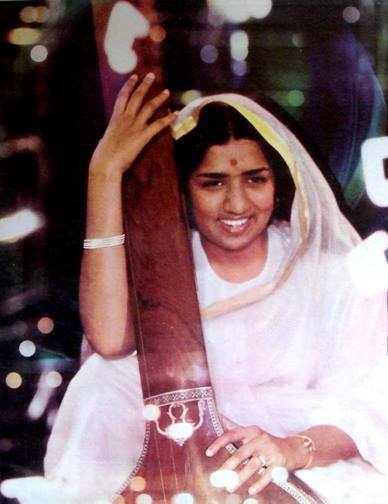 My first introduction to Lata and for that matter old music was through my maternal uncle’s music collection. This was during school days when my primary exposure was to her songs from RK films composed by Shankar Jaikishan (SJ). Apart from these, I had a wonderful tape of assorted songs that included ‘Baansuriya bajaaye sakhi’, ‘Nain mile nain hue baanware’ and the defining song of my childhood ‘UDan khatole waale raahi’, a choral tapestry delicately crafted by Naushad. I had got admission into Hyderabad Public School and it was considered a sure shot ticket to America in those days and Udan Khatola (1955) perfectly captured the vehicle of my dreams. ‘Mera salaam lejaa, ulfat ka jaam lejaa’ was literally an invitation across the seas and as I now look behind, I realise that although America was my “queen of dreams” at that point, it was the signature of my favorite singer that I have been carrying all along and it has outlived my “queen”. Studying in HPS ensured that I continued to get exposure to vintage music. Our history teacher Mr. Imdad Ali used to ask us to sing Raj Kapoor songs during recess. Our principal, Mr. O.P Pathak had a wonderful selection of patriotic songs and bhajans for the morning prayer. Lata-Hridaynath combination was the most common among the bhajans and it set the tone for a serene and peaceful beginning to the day. 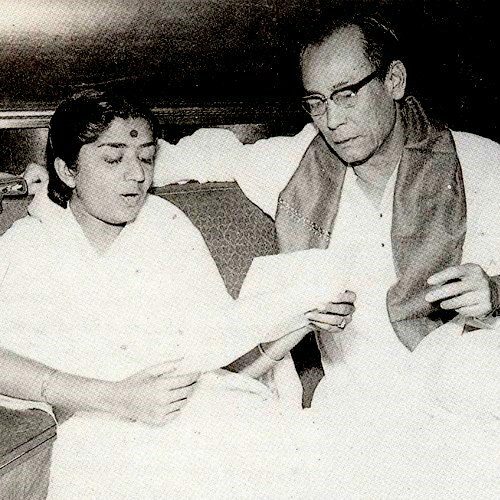 I started listening to Vividh Bharati and Radio Ceylon during college days, and soon formed a strong liking for composer SD Burman. I had interesting debates with my uncle over SD and SJ in general, and their usage of Lata in particular. 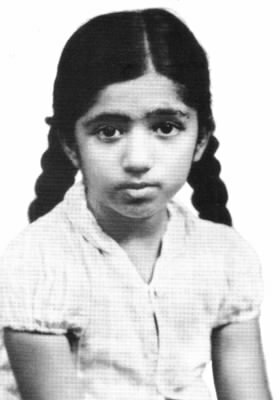 My uncle had several childhood favorites which he praised, like ‘Tera jaana dil ke armaanon ka ruk jaana’ (Anari, 1959) and marvelled at how Lata managed to sing the high pitched ‘Aji ruuth kar ab kahaan jaaiyega’ (Arzoo, 1965). I preferred a more sublime ‘Chaand phir nikla’ (Paying Guest, 1957) or ‘Rulaake gaya sapna mera’ (Jewel Thief, 1967). Not that there was anything wrong with either tastes, but it’s interesting to note that Lata was our favourite for different reasons. 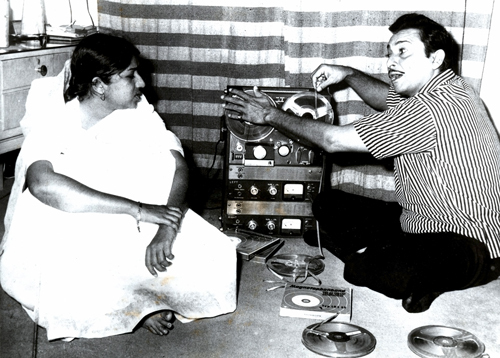 Another very important aspect was that I started gravitating towards the soothing songs of Lata since it helped me fall asleep quicker! This was also the time when my dreams started taking the shape of reality; I was well on my way towards finishing engineering and America beckoned ‘Aaja chal de kahiin duur’. 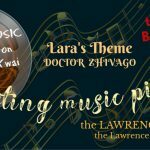 Right from the opening bars of music in the prelude, the song is a winner. The dreamy lyrics, the charming wave like motion of the composition give it an ethereal feeling. The voice of the diva takes it to the next level and makes it sound as irresistible as the “land of milk and honey”. So I landed in the US with a stack of tapes among other more essential items. This stack was auto-recorded by my uncle from Vividh Bharati’s ‘Aap Ki Farmaish’ programme when I was busy attending college. It was in the US that I first got access to the internet and soon became an active member of the news group RMIM (rec.music.indian.misc), a haven for old music buffs. I also started expanding my music collection and the first tape I purchased was “Lata in a blue mood” which had songs from late 60’s and 70’s. I found the tape so good, that every night I used to put it on before going to bed and gently ease into asleep. I called this “soothing song playlist” and it evolved with time and I slowly gravitated towards music of 50’s. As I was relying on a small Walkman model run on rechargeable batteries, I had to make variants of the “soothing playlist”. New discoveries that I got hooked onto had to be recorded multiple times on tape to avoid repeated rewinds and conserve the battery. There were times when the listening started in the night and went till the battery died. I just couldn’t literally wait for the next morning to resist the temptation of exploring. As Sahir says ‘Ye rut ye samaa mile na mile, aarzu ka chaman khile na khile, waqt ka aitbaar kaun kare… Subah ka intezaar kaun kare’”. The interlude music after the first occurrence of ‘subah ka intezaar kaun kare’ (at the 40 second mark) and Lata’s ‘haaye’ in the last antara just after ‘ruuh bechain hain nigaahon mein’ are the high points of the song apart from the lyrics. I landed a job in Chicago and the mini walkman gave way to an mp3 player and equipment to digitise songs. I started with the auto-recorded stack of tapes I got from India and realised that all were duplicates and I was eventually left with one tape. Nestled between the popular numbers was this stunner that I had never heard before, which made the effort worthwhile. The song opens with a subtle sarod prelude setting the tone for this ethereal composition. Lata begins softly with “Tuu humko dekh aur hamari nazar se dekh / miithi adaa se, pyaar se’ and suddenly the pitch and the emphasis increase with ‘Pyaari nazar se dekh’. Every antara ends with ‘tuu humko dekh’ repeated twice, separated by a lovely sarod piece. If I have to describe the composition in one word I would say ‘mulayam’. Devoid of heavy orchestra, the music complements the singing voice very well. Veer Mohammad Puri hasn’t written many songs in Hindi film music, but this song is enough to showcase his ability to capture the delicate feelings with lines like ‘ai hoshdaar hosh ka pardaa uthaake mil’. The movie has several other outstanding Lata songs like ‘dhiire se gagari utaar’ and ‘jaa re jaa re meri chhod chunariya’. The last two became huge favorites at RMIM meets prompting a few of us to call Roshan as “Zindagi Aur Hum Roshan”. I did my part by exploring Chicago with ‘miithi adaa’ and ‘pyaari nazar’ and discovered India Video in Wheeling and Bombay Video in Devon. Both had lots of old Black & White VHS tapes which became a big source of my song collection. Moving to a big city also meant proximity to airport and I could fly frequently to RMIM meets in East and West Coast and also visit RMIMers. I started acquiring the commemorative tapes from RMIM meets and the 1999 edition on Lata became a favourite. 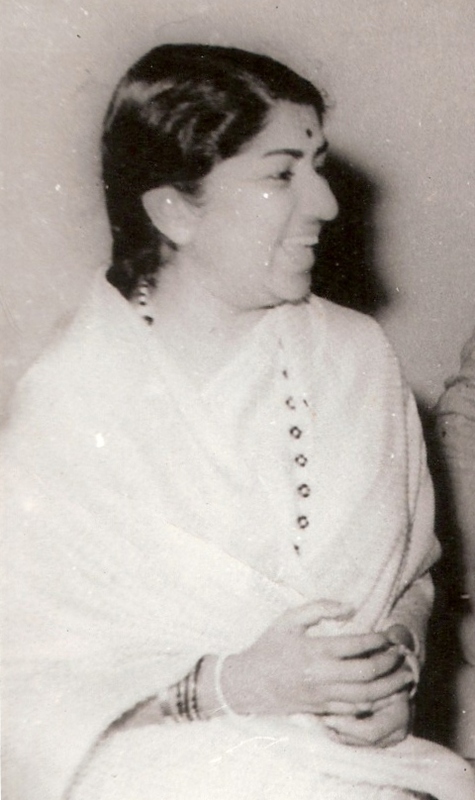 One of the songs in the compilation was Sudhir Phadke’s duet with Lata ‘kismat ka nahiin dosh baanvare’. Vish Krishnan, in his commentary mentioned the list of albums in which they partnered ‘Murliwala, Malti Madhav, Gokul Ka Chor, Pehli Tarikh, Ratnaghar, Sajni and Bhabhi Ki Chudiyan’. I started exploring Sudhir Phadke’s work and my fellow RMIMer Dr. Arunabha Roy promised to give me a rare compilation of their work that he got from Dr. Mandar Bichu. I instantly fell in love with it and added ‘Raat andhiyaari hai’ to the soothing song playlist. The opening line sets the tone for this melancholy nocturne. Lata emphasises “raat” and “andhiyaari” as if the night is very long and very dark. The line is followed by a lovely piano interlude followed by ‘raat andhiyari hai’ but it is more subtle second time around. Its like the first ‘raat andhiyari hai’ is typed in bigger font in the title page and that forms the backdrop of the song. The song oozes maternal love which is epitomized by the line ‘sukh se tuu so mere praaN, mere maan, mere rain ke vihaan’. Every time praan, maan or vihaan are rendered, the emotion is so perfectly captured that one can visualize the love showered by the mother on her child. The other recurring emotion in the song is sadness. In the second antara the word “andhkaar” is repeated to cascading effect taking darkness to new depths. Pandit Narendra Sharma’s lyrics are a constant with Sudhir Phadke’s music and the following line takes the cake for me. The orchestration is soft, subtle and soothing. It complements the theme very well and elevates the song to a treasure that can be cherished for a lifetime. Post 9/11 events and dot-com crash meant that I had to go back to the university and the quest began for a more stable place. And as I found out, it was right across the border. “You can come to my place and stay. I will charge you one rare Lata song per night” Anant Rege said when I was planning to visit Canada to get my visa stamped. Although Toronto was closer, Anant’s offer was irresistible. I landed at Anant’s place in Ottawa and after a round of introductions and refreshments, Anant took me upstairs into a room filled with neat wooden closets. He opened one and stocked in it were dozens of tapes. He removed them one by one and his expressive eyes lit up when he saw the label ‘Gul Sanobar’ on one of them. He then picked the following song for my listening pleasure. The song starts with a fast paced prelude with the piano being the prominent instrument. As the prelude ends, the rhythm slows down slight pauses between notes creating a “suspense” filled ambience. Lata then starts with almost a hush ‘ise na aur luuTiye’ and by the time it comes to ‘kya kahuun’ her voice is elevated to a high pitch only to come down with ‘nasiib to nasiib hai’. These pitch and pace undulations made the song an instant favorite. Kaif Irfani’s lyrics deserve a special mention here for fitting snugly with the ebb and flow of Bulo C. Rani’s tune. The trip to Canada greatly influenced me and I decided to immigrate there. tum chaand ke saath chale aao.. The “chaand” of my life was my music collection and once I found a job in Toronto I moved there along with it among other essential things. The favorite Madan Mohan composition is notable for its use of matka. The composer was an emotional person and he even used to cry when a note struck a deep chord. In ‘tum chaand ke saath’ one gets the impression that these emotions are locked in between matka beats and are trying to break free. As the song progresses with ‘leharon men ravaani ho jaayen’ it imparts a crescendo effect uncorking the emptiness. Also the emphasis on ‘aa~ ~ in “tum chaand ke s*aa*th’ creates an impression that the protagonist wants her beloved to get the “moon” along. Rajinder Krishan’s lyrics capture the subtle feelings so well. My favorite pass time in Toronto was to walk on the banks of Lake Ontario marvelling at the waves and I had a wonderful time there. Back in the university days, I befriended a gentleman named Dr. Khawar Sohail Siddiqui. It was the pre-YouTube era and rare songs were hard to get by and he was extremely gracious. Almost every morning I used to get up, login and find a mail from him with a collector’s item as an attachment. 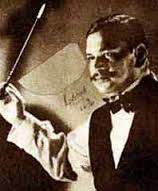 Khawar Sahab had several favorite composers but he was crazy for the man whom connoisseurs revere as the father of Hindi film music; Rai Chand Boral. RC Boral’s body of work with Lata is limited to just 2 movies and a huge chunk of that is from Shri Chaintanya Mahaprabhu. Khawar Saheb was desperately looking for songs of this movie. He had heard those songs on Radio Ceylon and exclaimed “Lata ke saare gaane ek taraf aur Shri Chaitanya Mahaprabhu ke gaane ek taraf”. I never heard about the movie at that time but Khawar Saheb’s taste was like a gold standard for me. I used to call Khawar Saheb every other week and he used to inevitably say “Shri Chaintanya mahaprabhu ke gaane talash karo yaar”. So the search began, went on for a few years, and finally Shri SN Chari based in Chennai kindly sent us the tape. Given this huge buildup, I had very high expectations about the music. RC Boral, Lata and Bharat Vyas didn’t dissapoint. The opening aalaap ‘baaje muraliya baaje’ followed by a wonderful interlude and the use of khol in the background shows the influence of Bangla Keertan. It was literally ‘sapne hue saanche’ for me, as I finally landed upon a goldmine at the end of a long journey, musically or otherwise as I became a Canadian citizen. That phase abroad of 15 years abruptly came to a halt as I had to move back to India due to family reasons. The first days and months were tough as those memories haunted me. In the mukhda, there is an interlude just after the second instance of ‘beeta hua’. I identify with this a lot as I feel like a lot of water has flown down the drain but you got to move on. It was a passing phase in my life and with time things became better. Coming back to India also gave me an opportunity to meet several record collectors thanks to Ajay Deshpande. Most notable among them is Shri Vijay Nafde whose efforts in making ‘beeta hua ek swaan’ available is noteworthy. The song was recorded for Kedar Sharma’s Shokiyan but was never used in the film. In the 80’s it was included in his TV documentary ‘pehla qadam’. Life became very busy and active and the number of hours I listen to recorded music in general and Lata in particular drastically came down. I no longer needed music to help me fall asleep. This gave an opportunity to revisit songs of all moods without any preference or bias to a particular genre. And the fast paced SJ songs that my uncle loved so much started appealing to me like never before. A recent discovery thanks to Ajay Deshpande, captures my mood perfectly. The lilting “accordion prelude” makes one literally dance along. It’s almost like life has come a full circle to the point where I am back to ‘mera salaam lejaa’ days. The only constant in this turbulent journey has been the voice of Lata, a voice for all seasons. Here’s wishing a Happy Birthday to the Melody Queen. Pleasure to know your passion n to listen to few of rare songs of Lata .. Almost every music lover has such Lata Mangeshkar moments in the journey of his/her life. Congratulations for a nice article. Just superb reading and lovely memorable songs. Thanks a million. I now read your full article. Its fantastically written. The best thing is that it has also technical angle. Unfortunately, I am not a member of Facebook so unable to add a comment but kindly add my comment on your behalf. Thanks for adding a full para on me. I was thinking about another aspect of lata rare songs re the lost ballet/opera songs which were never released and discovered by Dr Suresh Chandvankar and shared with us. These are majestic songs which very few people knew existed. May be we can write a small article on that. Lakshmi Priya: Sriganti ki jai . I love his writings . So unique. Superrrr! Gajendra Khanna: Sri Ganti Direct Dil Se. Nice! 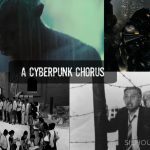 Nutsure Satwik: I didn’t know anything like Silhouette was there for music lovers. Sri G gave an excellent demo ekdum dil se during the meet. T.j. Natarajan: You said it Sri… from Dil se ! Vinayak K. Gore: Excellent write-up Sri. 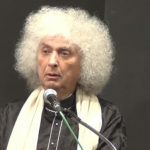 Sundeep Pahwa: Well, glad to read your mystic connection with the Nightingale, during her last 70 years she has inspired a lot of music fans like you and a lot of friends. Thanks to you that I could appreciate Lata of the 50s much better then the mid sixties when LP and Pancham arrived in a big way . Anuradha Srinivasan: True Gems. Thanks Sri Ganti…. Kailash Mundra: Lataji had worked hard to come up in life . Being the eldest in the house she worked her way up in Hindi Film Music Industry. What a sweet voice which each & every Music Director utilised to extract the best in her ! As Sundeep Pahwa ji, has rightly mentioned, I love her songs of the 50’s & 60’s … Just see her combination with Naushad, Shankar Jaikishan, Madan Mohan or SDB, it’s too good . But her songs with C Ramchandra were ultimate .. Simply awesome ! Like Rafi Saab, she modulates her voice for Meena Kumari, Sharmila, Waheeda Rehmaan, Nutan, Saira Banu or even Jaya Bhaduri ! There is one Lataji & shall remain so for centuries to come … Happy Birthday dear Lataji , we love you !! Kailash Mundra: Sundeep Pahwa ji, I had mentioned that I liked LM’s songs of 50’& 60’s … Jayaji came at the end of 60’s, so included her ! Apart from the fact that he has devoted a full para on me, it is an awesome article on Lata Mangeshkar on her birthday! Frankly, it is not possible for me to chose even 100 best songs of lata because all her songs are gems. Srinivas has cleverly done this by linking songs with critical phases in his life. 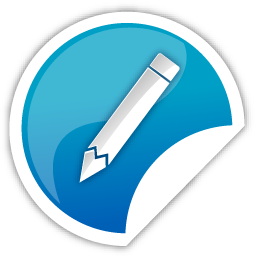 In addition he has written the article with a technical angle. Another important aspect is to let younger people know about what a perfect “songs” really should be like? 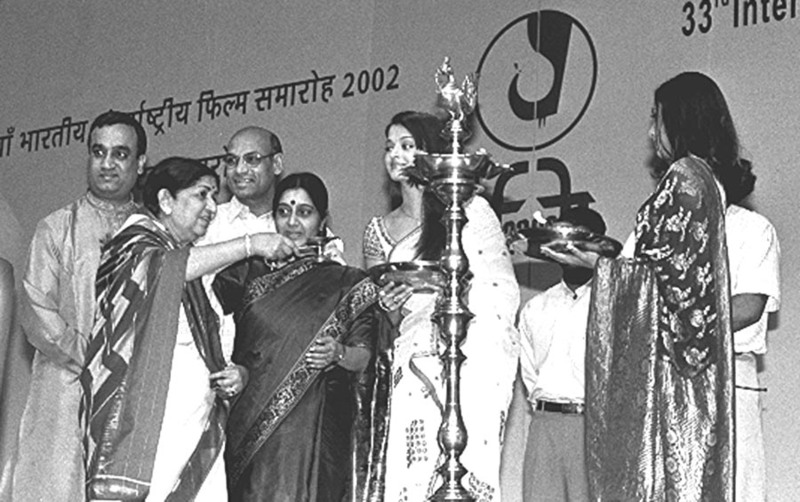 Lata Mangeshkar is one such yard-stick by which the standard of all other present day singers is compared. The result is very clear. They all failed. Wow what a listen. I am 76 years old fan and had not heard quite a few songs. Thanks. For me one of the best of Lataji is Aire men to prem diwani from Naubahar. Another one from yhe same movie is also great dekhoji mera Jiya churaye liyo jay. They are on you tube but i do not know how to upload them. 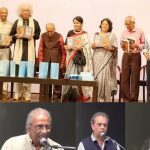 I agree with Kailash Mundra about Lataji and C. Ramchand. Her semi classicals with him are superb. 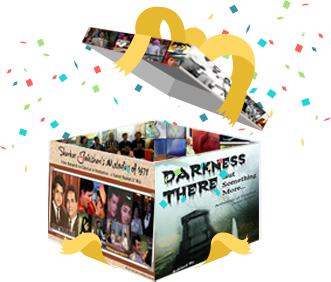 You may include Ched gayo mohe sapanome shyam from Zanzer( Jhanzer). Thank you very Sri Ganti ji! You have introduced me to a lot of gems through this article. Being a novice in this area, I cannot say they were more than introductions. But each one of them is a gem of unsurpassed beauty. I will cherish them for long as I do the more popular songs of hers. There is a mention of opera/ballet songs sung by Lata ji which were lost and probably rediscovered recently. If possible, can you please write about them too?